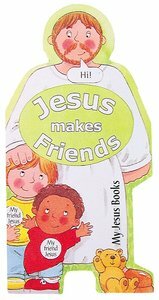 A fun introduction to the loving character of Jesus, these die-cut board books draw your child into each story. From Hunt & Thorpe. About "My Jesus Book Jesus Makes Friends"